It's no secret that Making a Murderer's favourite criminal defense lawyers Jerry Buting and Dean Strang have captured the hearts and minds of the world since the documentary first landed on Netflix. Take a look around online and you'll see all manner of tributes to this dynamic duo, and rightly so. The level of dedication and integrity they have shown both through the series and since is inspiring, and has given hope to those who were left feeling angry and helpless after watching Steven Avery's story. 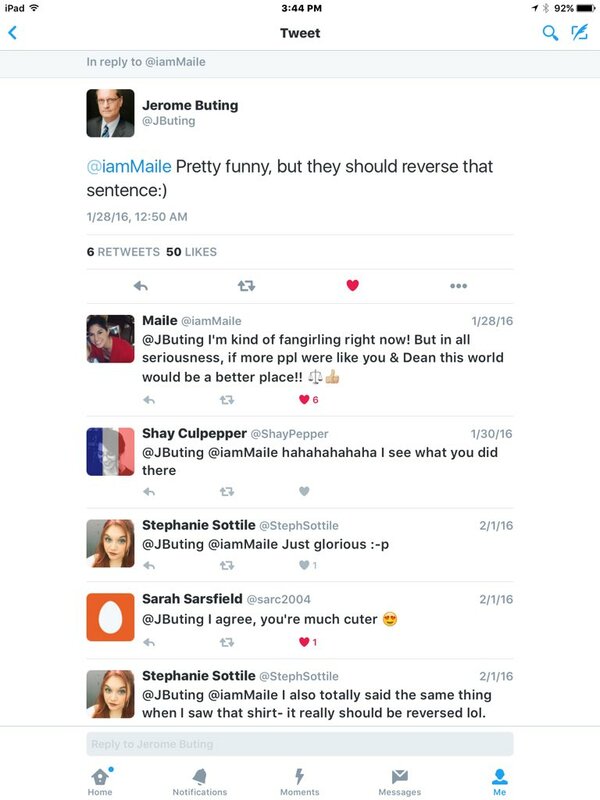 Jerry Buting has now become even more of an internet sensation with his kindness, wit, and charm in the crazy world of Twitter. Mr. B is a busy guy, yet he still manages to carve out a little time in his day to talk to his followers, finding the perfect balance between discussing the things that matter, and having a laugh with his fans. 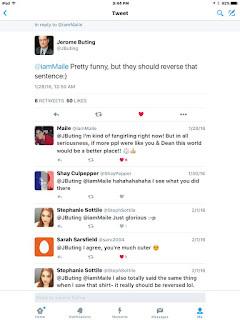 Here's a look at 8 times Jerry Buting's Twitter account was the coolest place ever! Is there really any better endorsement than this? There are two levels of awesome here. Firstly, the fact that JB used the phrase "girl power" which will always elicit a chuckle - especially from 90's girls who can still hear the chants echoing around their skulls from overexposure to the Spice Girls. And secondly because, it was simply an extremely kind thing to say. Zig-a-zig-ah! 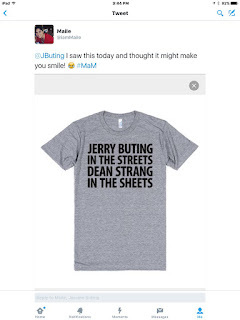 If you're a Buting & Strang fan, you'll be fully aware of the amount of awesome and hilarious merchandise now available, and this t-shirt is right up there with the best. When someone tweeted this genius piece of artwork at Jerry, he wasn't shy with his response! ;) The debate about which way around this sentence should be continues to this day in chat rooms across the world! #JButes was something that slipped out when I was writing an article a while back, and - praise the Lord - it sort of caught on! The fact that Jerry thought this was worthy of a mention made our day! This is one of JButes' finest fan interactions. ccbabcocks took one for the team and asked the question many MaM fans wanted to know the answer to. 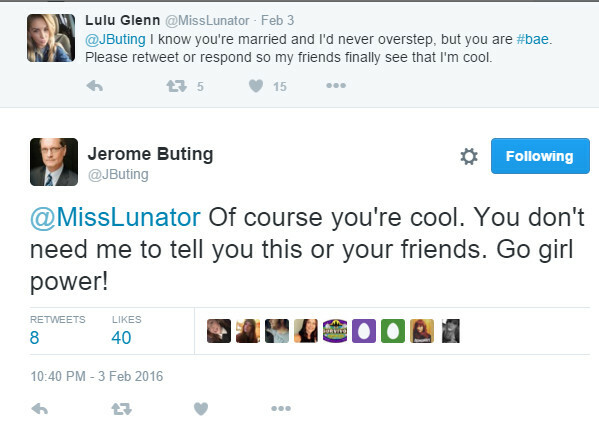 Most would have casually breezed over this but not our Mr. Buting! The fact that he finished, with, "But thanks anyway," just made us love him even more! It's true. 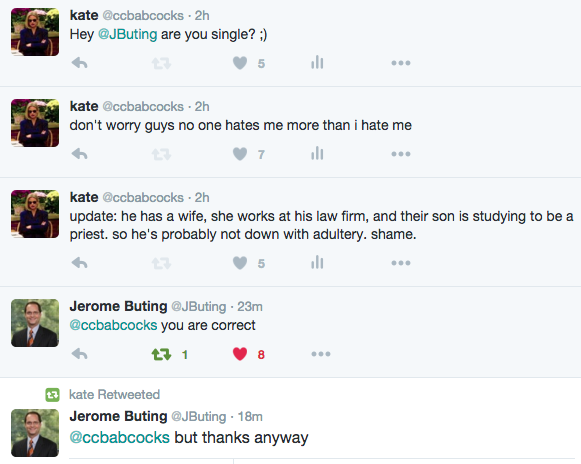 Only people with high intelligence and exquisite taste follow The Buting! There is no question that there will be many more moments of awesome from Jerry Buting - so if you've yet to see it for yourself, get following him! You'll get the fun stuff, but most importantly (because even though we're having a giggle, the serious stuff matters more) you'll hear info on the Avery case, and all kinds of other legal matters that are affecting people right now. 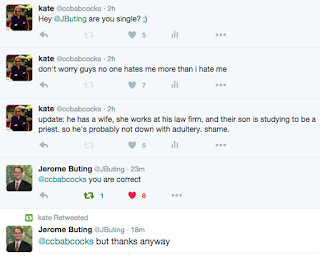 Mr. Buting - we salute you! Awesome article, well said!! 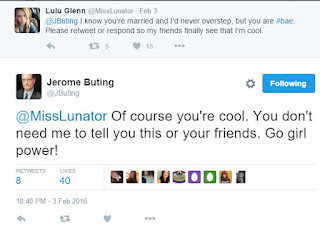 You put into words how cool and genuine Jbuting is. I joined Twitter to hear news about MaM, so glad I joined so I can see his awesome tweets! The world definitely needs more ppl like him and Dean strang. JButes and the DStang Gang!! @Michael - Haha, that gang keeps getting bigger!